EXCLUSIVE: Rigged Trials at Guantanamo | Democracy Now! AMY GOODMAN: The 9/11 trials for the six Guantanamo prisoners charged by the Pentagon last week with conspiracy to commit war crimes might have been rigged from the start to rule out the possibility of any acquittals, this according to the latest statements to The Nation magazine from Colonel Morris Davis, the former chief prosecutor for Guantanamo’s military commissions. Colonel Davis resigned from the military commissions in October 2007, saying the system had become “politicized” and he could no longer be effective. His latest statements to The Nation magazine offer the most pointed evidence of the military commission’s bias and undermine the Bush administration’s claims of ensuring fair trials for the accused. The article is up on The Nation magazine’s website at thenation.com and is called “Gitmo Trials Rigged.” Documentary filmmaker and journalist Ross Tuttle broke the story, joining us now from Los Angeles, California for this Democracy Now! exclusive. We’re also joined here in our firehouse studio by international law expert and Harper’s magazine legal affairs contributor Scott Horton. We welcome you both to Democracy Now! Ross Tuttle, let’s begin with you. Start from the beginning. What exactly did you learn? ROSS TUTTLE: Well, I was researching a story, actually, on just a detainee who had been in Guantanamo, or has been in Guantanamo for quite some time. I decided to call the former prosecutor. He had been quite vocal about his opinions since resigning. Before, he had been a staunch advocate of the commissions, spoke at length, actually, in another op-ed, before he resigned, in June lauding the commissions. Then he resigned in October. And I thought I’d give him a call just to see what he’d say about the recent events with the charges in February that were announced and to get his opinion about whether there could be some fair trials. And that’s when he told me about this conversation that he had. 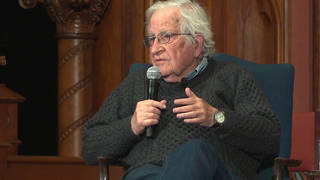 AMY GOODMAN: Explain exactly who he is and the conversation that he had. AMY GOODMAN: Explain exactly the position that Haynes occupies to make this opinion so significant. ROSS TUTTLE: Well, at the time — I mean, at the time, Haynes was an adviser to the Secretary of Defense. Haynes’s formal role in regard to the commissions — I’m not exactly sure what it was. But what Davis told me is that he resigned the moment that, or a few hours after, Haynes was inserted above him in the chain of command for the commissions. Basically, Haynes will — at the time, when the defense and the prosecution both report to deputies within the Department of Defense, who then both report to William Haynes, as it stands now. So once Haynes was inserted above him, Davis had a couple of concerns. Haynes has also been linked to some memos that have been dubbed “the torture memos,” or one in particular that was released in November 2002. It was a report that he wrote for Donald Rumsfeld, and it was advocating the use of aggressive interrogation techniques. And so, I think Davis said he was also concerned about that, about the fact that this individual who he didn’t see eye-to-eye with, as far as coerced testimony and evidence that was obtained through coercion — that was one problem for Davis. And the other was this bias. AMY GOODMAN: Scott Horton, talk about what Colonel Davis said and about Haynes’s significance. SCOTT HORTON: Well, let me first say something about Colonel Davis. He is a very highly respected figure within the JAG court. I think a number of people saw him as someone who was likely to emerge perhaps ultimately as the Judge Advocate General of the Air Force, certainly one of the handful of candidates likely to move forward. And he’s hardly some civil libertarian. In fact, his attitudes are extremely conservative. He’s a prosecutor. 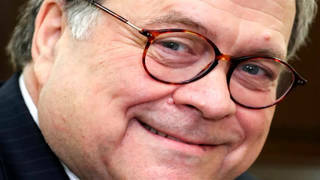 The friction he had previously with the Pentagon was essentially over the fact that he was chomping at the bit, ready to go forward with these prosecutions. Now, I think this — the news that Ross has broken here is absolutely devastating to the Guantanamo military commissions process, because they have been trotted out by General Hartmann, if you looked at his interviews the last few days, as an effort to replicate Nuremberg and the Nuremberg proceedings. And remember, Justice Robert Jackson, who was responsible for organizing them, said very clearly, repeatedly, it’s important not only that justice be done here, but that these proceedings appear to be just. In fact, the appearance of justice was more important even than the underlying result in the proceedings. AMY GOODMAN: In fact, there were some people in Nuremberg who were acquitted. SCOTT HORTON: Three in the opening proceeding alone. There were quite a few people who were acquitted. And I think there was a broad perception around the world that those proceedings were fair, that the defendants had a full opportunity to defend themselves. And the US accomplished its principal objective in those proceedings, which was demonstrating to the world, but particularly to the audience at home and Germany and then later with the Pacific tribunals in Japan, the evil that had been done by these people who were put on trial. So it was effective because it was just and fair. SCOTT HORTON: A devastating statement. It destroys the reputation for fairness of these proceedings. You have to remember that Jim Haynes is not just anybody. As the general counsel of the Department of Defense, he’s the person who stands near the apex of this process. AMY GOODMAN: He’s not the prosecutor. SCOTT HORTON: He’s not the prosecutor. The prosecutors report to him. The defense counsel report to him. The judges report to him. The convening authority reports to him. He stands over this entire process. And he already has an established track record of intervening in these cases for political purposes, for political manipulation. The Wall Street Journal broke that story the third week of September when they showed how he had intervened to mastermind the plea bargain in the Hicks case, in which the prosecutors were excluded. Haynes was involved doing this, and he was involved doing it basically to make good on pledges that Vice President Cheney had made to the Australian prime minister, to help out his friend in Australia in connection with an election. So that already set the tone here. AMY GOODMAN: —- who was ultimately sent back to Australia. SCOTT HORTON: And is now free. He was sent back. He was given the minimum possible sentence that would allow his repatriation, his return to Australia. AMY GOODMAN: Ross Tuttle, response to this explosive piece, “Gitmo Trials Rigged,” to what Davis — what Colonel Davis is saying Haynes told him? But I feel like this is the first time, and why it struck me and why I thought it was important to get out there, which was later confirmed by a lot of the people that I spoke to when reporting, that this really seems to be the first time that somebody at such a high level has made such a statement that appears to be, you know, what a lot of people have believed all along, that this process cannot result in fair, open — you know, fair, open trials. And so, that’s a concern. And it, you know, hopefully — and I think what Davis is trying to do, being out front on this issue, is trying to get people to recognize that and get people to reevaluate the system and fix it, because I think everybody — everybody involved — the detainees, the people in the JAG Corps — I think, you know, most people involved, most people who pay attention to this issue, they want to see justice done, but this process seems deeply flawed. AMY GOODMAN: Scott Horton, does conviction automatically mean death? SCOTT HORTON: No, it doesn’t automatically mean death. There’s still a discretionary process here. The United States — the prosecutors have announced that they will seek the death penalty for at least some of these detainees if they secure a conviction. But in our military justice system, we haven’t had an execution since 1961. Our system — our military justice system very much — very strongly disfavors the death penalty. AMY GOODMAN: Talk about the role of the JAGs. Talk about the role of the military lawyers and where they’ve stood over the years. Now, of course, Davis has resigned. SCOTT HORTON: Well, I think one thing we should stress up front is that even the most severe critics of this process, for the most part, stand in awe of the JAG Corps and the way they’ve handled things. I mean, we’ve got a bunch of dedicated professionals who want to play their jobs, want to play their roles competently and professionally. And, in fact, professionalism has been the top note of the JAG Corps since the beginning of this process. And the concerns that are being articulated are about political meddling with the work of the JAG Corps, intervention by political appointees — and Haynes, I think, has been the most aggressive of them — that stop the JAG officers from doing their proper roles and stop them from functioning independently. And we’ve seen them stand up and exercise independent judgment repeatedly. In fact, the first conflict that they had with Haynes was over the torture memoranda. And that memorandum that was described resulted in an order issued December 2nd, 2002 by Donald Rumsfeld that authorized torture techniques. AMY GOODMAN: Have we ever seen this kind of standing up mass, standing up before in — among military lawyers? SCOTT HORTON: Absolutely unprecedented. In fact, I’d say, most recently, when the Bush administration put forward the Military Commissions Act, which the JAG lawyers didn’t even get to see until forty-eight hours before it was put forward on Congress, the Judge Advocates General of the four service branches went to Capitol Hill and testified against the legislation put forward by Gonzales and Jim Haynes. That’s never happened before in history. SCOTT HORTON: Well, he’s stating essentially the prosecutor’s dilemma. You know, he was charged with prosecuting these cases. He knew that waterboarding and other highly coercive techniques have been used on the people he was prosecuting. He was presented with their confessions to use as evidence. And he knew ethically and legally he couldn’t do that. I think there’s another very important thing that’s latent in that statement and was also charged very recently by Lieutenant Commander Charlie Swift. He pointed to the fact that these proceedings are going forward within a week of the time that we see official after official of this administration, including President Bush and the head of the Office of Legal Counsel and Attorney General Mukasey, coming forward before Congress and other international fora to justify waterboarding. Why are they doing that? They’re doing that because they know that this hangs in the background of these proceedings in Guantanamo, and they want to press forward for the use of this coerced evidence, which is really going to taint the proceedings and make a mockery of them and embarrass the United States in the eyes of the world. AMY GOODMAN: Ross Tuttle, you're also working on a piece on Benyam Mohammed, another prisoner at Guantanamo. ROSS TUTTLE: Correct. That’s how I started on the story. It was a documentary I had been working on for an ACLU documentary series that covered rendition, extraordinary rendition, torture and habeas corpus. Benyam Mohammed had, according to his own account, been a victim — well, had fallen in all three of those categories. He has now been in Guantanamo for about four years. Prior to that, according to a lengthy diary that he transcribed to or that he told to his lawyer, Clive Stafford Smith, he had spent eighteen months in a Moroccan prison as a victim of extraordinary rendition, being grievously tortured. The account that he provided to Smith then got out. It was declassified. And it’s really horrifying when you read it. And there are a lot of details that corroborate the claims that he makes. A lot of people have researched it, looked into it, and there are some — there is a lot of corroborating evidence. But, I mean, if even a fraction of what he says is true, it’s really — I mean, it’s a really horrific thing that he’s endured. And so, I just felt like that his story needed to be told. I mean, I felt like a lot of people who are still in Guantanamo, who are languishing, who are awaiting trial, I mean, they just — you know, according to their lawyers, I mean, they’re just hoping — they just want a fair trial. They just want something to be able to — you know, they want to be able to face their accusers. And I felt like that was a story that had been not necessarily forgotten, but it just had kind of fallen out of the headlines. Not many people were paying that much attention to it. It felt like in Europe a lot of people were really focusing on this issue. And this story really disturbed me and was — yeah, it was troubling. And that was the story that I initially sought to tell when I contacted Davis.